You may be an energetic and adventurous person, but sometimes, you also run out of energy. Just like a machine, you can also experience some down time. Fortunately, when the time comes that you need to have extra strength to accomplish something, you can take an energy drink like Full Throttle. Full Throttle is a brand of energy drink that was produced by Monster Beverage Corporation. 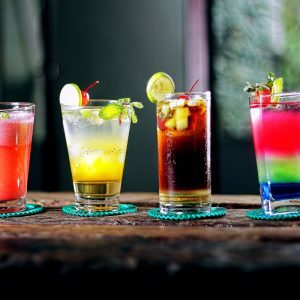 The manufacturer is an American beverage company which is known for their energy drinks, natural soft drinks, and fruit drinks. Below are the latest Full Throttle prices. It was launched in the latter part of 2004 in the United States and Canada. Back then, it was still under the ownership of The Coca Cola Company, which is also one of the biggest beverage companies all over the globe. While still under the ownership of The Coca Cola Company, Full Throttle was aimed to target men who are within the ages of 20 to 30 years old and are into the adventurous world of Motorsports. Full Throttle was also listed as the official energy drink of The National Hot Rod Association when it became a sponsor of the association from 2008 up to 2012. The NHRA is the largest motorsports sanctioning body in the world, with more than 40,000 drivers in its rosters. It sets the rules and hosts drag racing events not just in the United States, but in Canada as well. Monster Beverage acquired The Coca Cola Company’s energy drinks line on June 12, 2015. Because of the acquisition, Full Throttle’s ownership, along with other worldwide energy businesses and smaller brands, was transferred to Monster Beverage. Full Throttle Energy Drink can be considered unique because unlike most energy drinks which are formulated to boost concentration and energy levels with the use of powerful stimulants, it offers a number of advantages without taking a toll on your body. 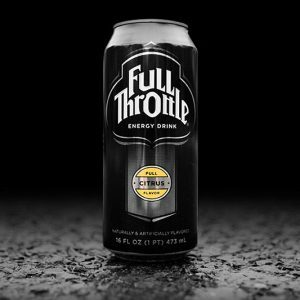 Full Throttle contains a carefully balanced formula and uses intelligently dosed ingredients to relieve the body of negative effects of taking energy drinks. It has a powerful amount of carbohydrates, which is at almost 49 grams, that the body uses as a fuel to accomplish high performance activities. A can of this energy drink also contains a little over 200 calories for an intense workout. Aside from the benefits that Full Throttle brings when it comes to having higher energy levels to do physical activities, it can also help you in situations which require focus and attention such as study sessions or late night drives. Another advantage of the Full Throttle formula is that it also has an antioxidant effect. When you take this energy drink, the Vitamin B complex delivers a supply of antioxidants, which help locate and neutralize free radicals in the body. So, if ever you need to have an extra boost of energy as well as improved focus, try taking this energy drink. However, please take note that because of some of its contents, Full Throttle is not recommended for women who are pregnant or nursing, as well as people who have caffeine sensitivity. Each can of this energy drink contains 160 mg of caffeine. The recommended daily caffeine consumption is 400 mg per day, so make sure that you do not exceed that recommended amount. Otherwise, you may experience negative side effects such as nervousness, irritability, sleeplessness, and rapid heartbeat. 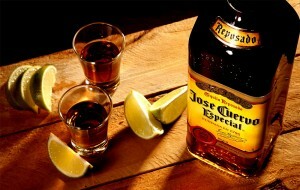 Full Throttle comes in three flavors: citrus, blue agave, and orange and below are their individual contents. Citrus Flavor Ingredients: carbonated water, high fructose corn syrup, citric acid, sugar, natural and artificial flavors, sodium citrate, sodium benzoate (preservative), d-ribose, caffeine, gum acacia, vitamin B3 (niacinamide), vitamin B5 (calcium d-pantothenate), glycerol ester of rosin, vitamin B6 (pyridoxine hydrochloride), yellow 5, vitamin B12 (cyanocobalamin). Orange Flavor Ingredients: carbonated water, high fructose corn syrup, taurine, citric acid, sodium citrate, sodium benzoate (preservative), caffeine, potassium sorbate (preservative), gum arabic, vitamin B3 (niacinamide), natural flavors, vitamin B5 (d-calcium pantothenate), sucralose, ester gum, inositol, yellow 6, vitamin B6 (pyridoxine hydrochloride), vitamin B12 (cyanocobalamin). These three flavors come in a 16 ounce or 473 ml can. Each can has a caffeine content of 160 mg/16 fl oz. Full Throttle is also available in a 12 fl oz can that comes in an 8 pack. However, it is only available in citrus flavor.